Exchange export is used for converting exchange mailbox to pst. This tool is best suited for faster, effective and accurate results. Basically, this tool is designed keeping safe backup of data in mind because emails can be saved securely in PST file format. Software allows you to enable export Exchange 2013 mailbox to PST & all other versions. It allows you to convert your emails, calendar, contacts and all the components of mailbox to a PST file. It also retains meta property and original format of any email. As you login to your account, enter Admin Credentials, Exchange Database to PST converter will show you details like mailbox name and permissions. When “Include Sub-Domains Users” checkbox is selected, all sub-domain Mailboxes can be seen in Preview window. As the software extract the files from Live Exchange Server mailbox to PST file, Active Directory plays an important role. Automatic scanning and loading will takes place after you click on Export. All the details of Active directory and Exchange Server will be visible. 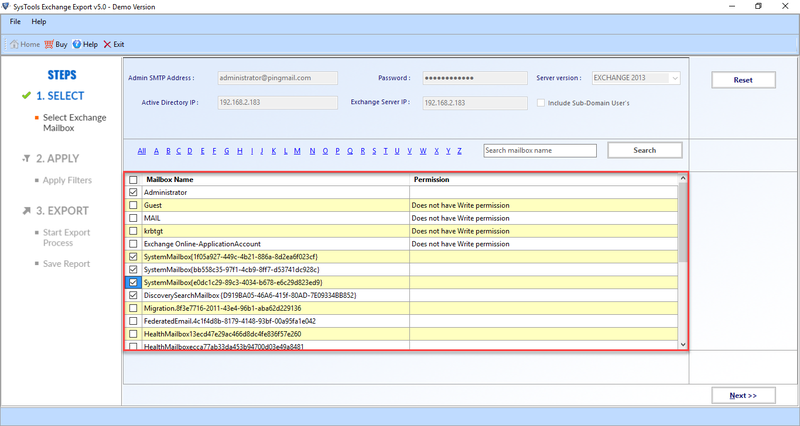 While exporting Exchange database to PST, tool permits the user to access their mailbox within sub domain. To retrieve this feature, you can click on “Sub-domain user’s” option. A preview pane will open which allows preview of mailbox and search them. When you extract Exchange mailbox to PST you are permitted to apply filter to all the components of mailbox like email, calendars, contacts, notes, journals and many more. If you have deleted any email, it had moved to Dumpster. This tool enables user to migrate data present in dumpster too. This function is non compulsory and user need to activate this feature to make it work. When Exchange 2016, 2013, 2010 to PST migration process is started, software will develop a progress report which shows of what percentage work is done and how much is left. 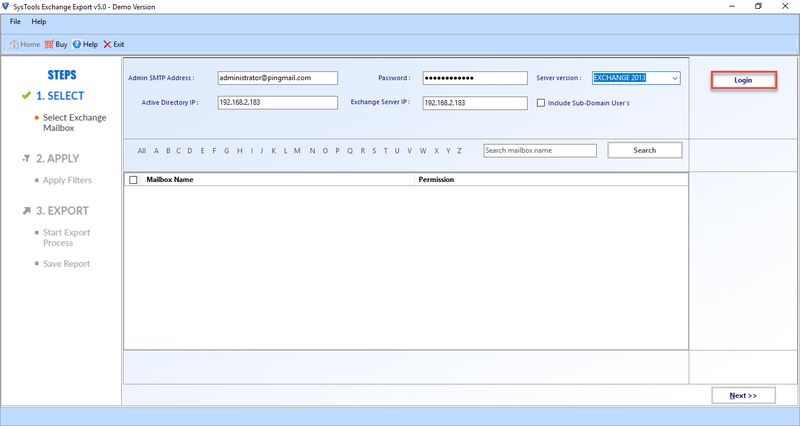 It shows details like number of emails or mailboxes being exported, success and failure count of items to be exported. 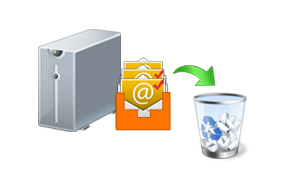 During conversion of Exchange Mailbox to PST, users are allowed to delete their transported email. This permanently deletion of emails after migration ensures that the space occupied by them is freed. To know how to extract Exchange 2016, 2013, 2010, 2007 mailboxes to PST file with software's screenshots. Follow the below link. With the demo version, the software becomes a free tool to export Exchange mailbox to PST. 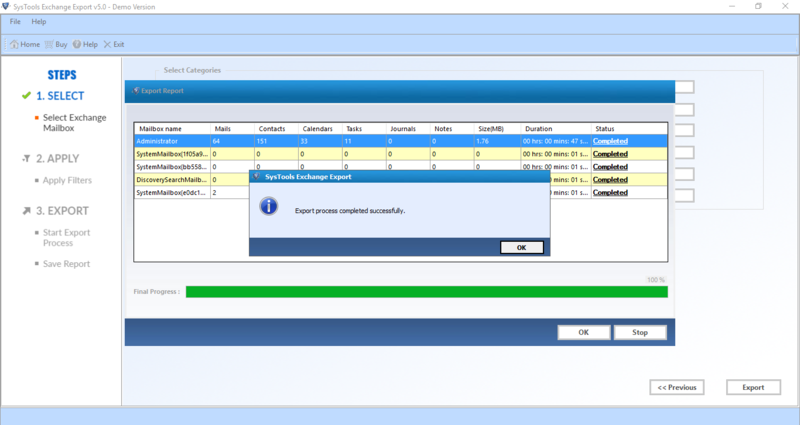 The only limitation of the freeware is that it exports 25 items per folder from Exchange database to PST. Apply filters & browse the destination folder. Click on Export. Can I use this software on Windows 10? Is Microsoft Outlook mandatory for conversion of Exchange database to PST? Yes, MS Outlook need to be installed and configured on your system with any POP3 or dummy profile and not for Exchange Profile. Is Live Exchange Server Environment a necessary condition to Export mailbox to PST? Yes, software needs live Exchange environment to export Exchange database to PST. Be sure that while conversion, migration machine and exchange server both are in same domain. 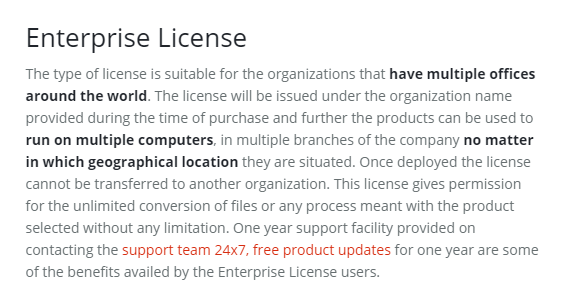 Is this conversion feasible without full admin rights? No, you must have full admin rights on Server mailbox that you want to export. You should know how to acquire full access permissions in Exchange. Is it possible to Export Public Folder from Exchange to PST? No, export of public folder from Exchange to PST is not allowed. You can only export Exchange Mailboxes with the help of this tool. What is the maximum file size of mailbox that this tool can export? No, there is no size limitation within this tool. It can successfully export any size of Exchange mailbox to PST. Does your software provide export report to verify the export process? Yes, this tool provide you final report of conversion of Exchange mailbox to PST. You can particularly verify all elements in this report. 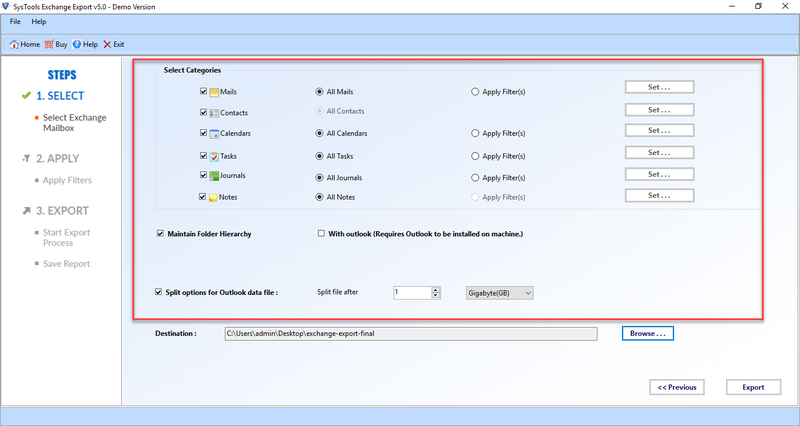 I want to convert emails, notes and contacts of Exchange 2013 mailbox to Outlook PST file format. I was looking for an effective and safe tool because I was afraid that I might loss my existing data. Then I heard about Exchange Export software. This is an amazing tool. Thanks to your team. The features written on the site are very genuine. It is able to export entire exchange 2010 database to pst with full speed and accuracy. Even the data is maintained as it was in server mailbox. Hierarchy of folder is also followed. Seriously, its worth spending money on this utility. This software is highly appreciated in market so I used this software. Step by step working is explained and if any query arises, those people are always there to help. No doubt software is excellent but you guys provide excellent customer service. A few months ago, I had a circumstance & I need to extract Exchange mailbox to PST anyhow. I have gone through various tools, but no one work exactly what I was demanding. 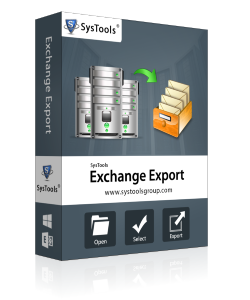 Then I found Exchange Export Tool, it works exactly the same. It deleted the mailboxes after exporting it. Great work! We were looking for an Exchange Export application for our organization that export large size data of our clients to PST. The Exchange Export skilled tool did the task beautifully & shows its capacity that it promised. It has in every way that really matter sold itself.